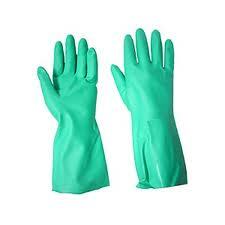 Green nitrile gloves are crafted with contoured fingers and palms. This design gives it the highest levels of flexibility, comfort, and dexterity. 100% high acrylic content nitrile material for resistance against abrasion, snags, tears and provides superior chemical resistance. Diamond embossed design provides excellent grip in wet and dry applications. Beaded cuff provides increased strength and increased tear resistance. Improved seal at junction of cuff and garment. Incinerable for a reduced volume of waste for disposal. 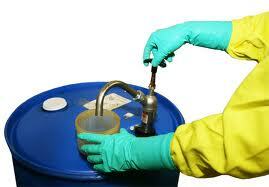 Protects from bases, oils, many solvents and esters, greases and animal fats. Not recommended for ketones or heavy organic solvents.